This is the route I will be taking from Huntington Beach, CA to Jekyll Island, GA. 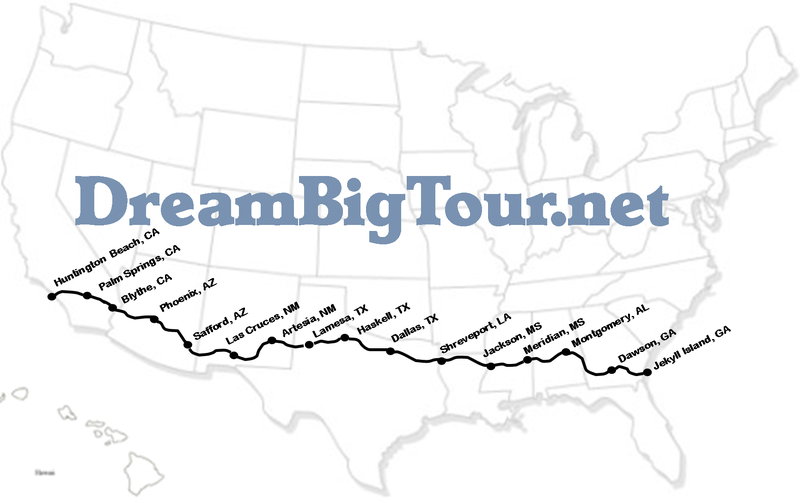 Listed are several of the cities I will be passing through. With the exception of a few stretches of interstate, I will be riding mostly state highways. Hey Dave you are about a third of the way to completing your journey. Wishing you good weather, good health, and safe travels!